Featuring an ergonomic design and unique grip surface with micro-texturing, the iNtouch Slide Damp Donning Latex Surgical Gloves mimic the feel of natural skin and enable good grip in both wet and dry conditions for greater precision and reduced hand fatigue. 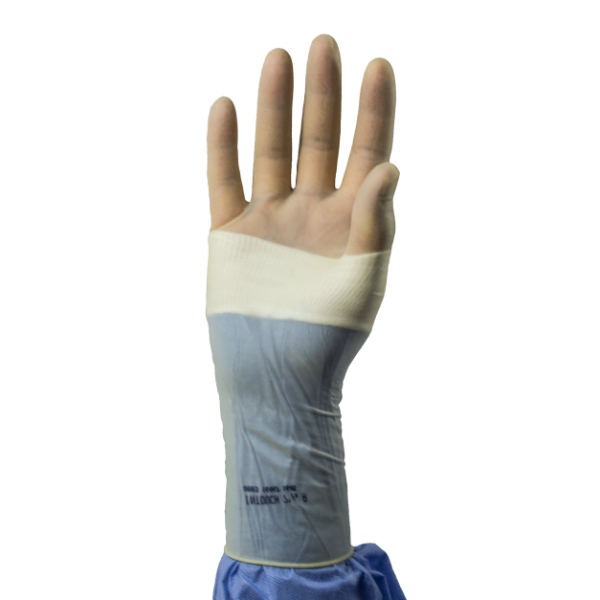 Designed for use by surgeons, these sterile disposable gloves are coated with a blend of polymers on the inner surface to enable easy donning over wet hands for greater hygiene and versatility. The iNtouch Slide Gloves feature an ergonomic design that provides an exceptional fit that feels like a second skin. This provides maximum dexterity for precision work and decreases hand and arm fatigue during long surgical procedures. Please note that these gloves are supplied in boxes of 50 pairs of gloves. The price listed here is for one box of 50 pairs of gloves.